The UK's Nuclear Decommissioning Authority (NDA) has announced that Wylfa unit 1 - the world's last operating Magnox reactor - closed yesterday. The unit had generated electricity for five years longer than originally planned. The two units at Wylfa were both scheduled to shut down at the end of 2012, but Magnox Ltd - which manages and operates the plant on behalf of its owner, the NDA - decided to shut down unit 2 in April 2012 so that unit 1 could continue operating in order to fully utilize existing stocks of fuel, which is no longer being manufactured. In September last year, the Office for Nuclear Regulation (ONR) approved the plant's latest periodic safety review and permitted the continued operation of unit 1 until the end of 2015. Stuart Law, the Wylfa site director, said in the NDA statement that the closure marked "a safe and dignified end to the generation of electricity at Wylfa, and indeed for Magnox". The Anglesey power plant was the last and largest in a fleet of 11 UK plants based on the "ground-breaking" Magnox design that "gave the nation's scientists a global lead in the race to develop nuclear energy for homes and businesses," the NDA said. "Back in 1956, the nation had celebrated the beginning of a new atomic age when the Queen opened the very first Magnox plant, Calder Hall in Cumbria. Its 190 MWe output was enough for 200,000 homes. When Wylfa opened in 1971, it generated 1000 MWe – enough for 40% of Wales' total electricity needs – and was the most powerful nuclear power station in the world," the NDA said. "Almost 45 years later, staff gathered to mark the Reactor One switch-off, which followed three years after Reactor Two closed. The five years of extended life at Reactor 1 were only possible thanks to an innovative method of transferring partly used fuel from one reactor to the other,” the NDA said. The manufacture of Magnox fuel had ceased in 2008. "Wylfa was originally due to shut in 2010 but the pioneering Inter-Reactor Fuel Transfer, or IRX process, was endorsed by the regulators and enabled another five years of operations," the NDA said. 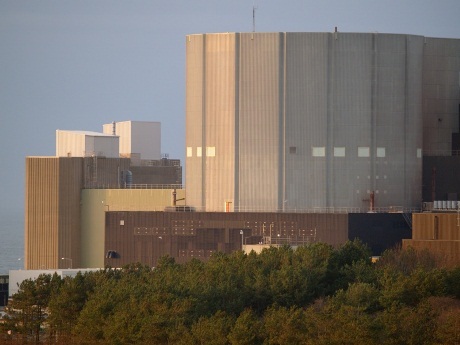 The combined additional revenue from Wylfa's "extra lease of life", as well as from the Oldbury nuclear power plant's four-year extension, amounted to about GBP1 billion, which has been used for decommissioning and clean-up, the NDA said. The final shipment of fuel from the two 217 MWe units at Oldbury to Sellafield is due to take place early next year, when Wylfa unit 1 will begin its own program of defuelling. John Clarke, the NDA's chief executive, said: "I am proud of the team's innovative work which made [Wylfa 1's] extended operational life possible, but the time has come to finally switch her off and move into the decommissioning phase." Fuel rods are already being removed from unit 2 and dispatched to Sellafield for reprocessing. Defuelling of unit 1 will begin during early summer 2016, with a target for the site to be fuel free by late 2018. Full-scale decommissioning will last several decades, the NDA said. The final used fuel element was removed from unit 2 of the Oldbury plant in Gloucestershire - the last of more than 52,000 fuel elements from the two Magnox reactors there. Defuelling began at Oldbury in early 2013. A key part of the decommissioning process, defuelling involves the removal of fuel from the reactors and then its storage in on-site ponds before transportation in flasks to the Sellafield site for reprocessing. There were a total of 52,060 used nuclear fuel elements - each measuring 1.1 meters in length - at the two-unit plant when it ceased operating. The removal of all 25,826 fuel elements from the reactor of unit 1 at Oldbury was completed on 11 August. The unit ceased operation in February 2012, after more than 44 years of commercial operation, with unit 2 closing in June 2011. The final fuel element was removed from unit 2 on 4 October. The removal of all fuel from the two units - owned by the NDA - was achieved three months ahead of schedule.